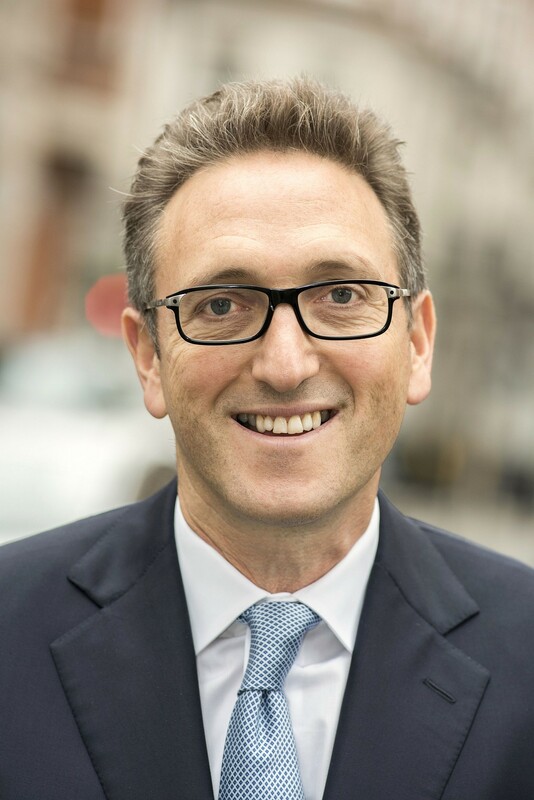 UK Jewish leader asks: Is the world changing for Diaspora Jewry? LONDON — I live in Jerusalem, where 15-18 years ago we endured a strategic onslaught of Palestinian terrorism — suicide bombers blowing up our buses, restaurants, shopping malls. 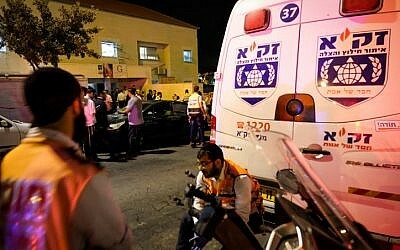 Like many Israelis, we wondered if we were irresponsible, insane: We’d chosen to raise our family in the Jewish state, the supposed refuge for the Jewish nation, and now we were risking our lives simply by stepping out of the front door to take our kids to school or go to work, while our Jewish peers in the US and the UK were safe, unthreatened, and so deeply tolerated they didn’t even stop to ask themselves whether they were tolerated. 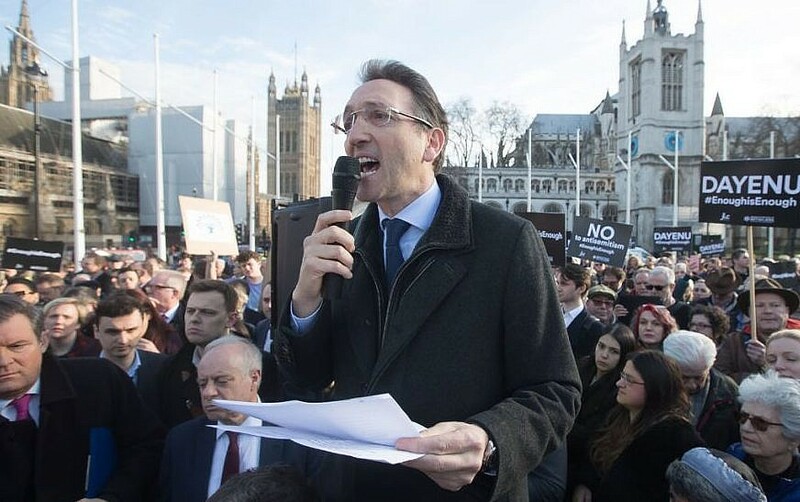 Last month, I went to London, my city of birth, for a few days, and interviewed one of the leaders of the Jewish community, Jonathan Goldstein, who has been at the forefront of the outcry against anti-Semitism in the opposition Labour Party led by Jeremy Corbyn. I wanted to understand how troubling the situation has become for Britain’s Jews — how they see their future should Corbyn become prime minister, how they think the wider British public feels about them, whether they believe themselves to be in real danger, what to make of opinion polls suggesting that four in 10 of them might leave the country if Corbyn succeeds Theresa May. Plainly, as confirmed by Goldstein — the sharp, earnest head of the umbrella Jewish Leadership Council — Anglo-Jewry is worried. 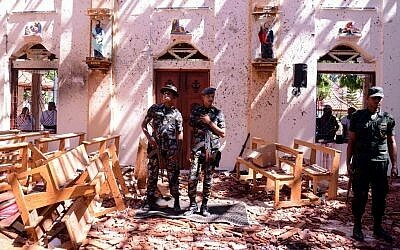 So much so that it has begun to change its very character — a small, habitually defensive community is now making its voice heard, issuing demands of political leaders, organizing strident demonstrations outside parliament. I talked with Goldstein at length about grappling with Corbyn, the radical left-winger who refuses to internalize that his habit of cozying up to organizations that kill Jews might just suggest he has a problem. Before I had published our interview, however, Pittsburgh intervened. While Anglo-Jewry has been worrying about the possibility of anti-Semitism becoming a greater threat, and Israeli and American Jewish leaders have been watching Britain with concern, now, over there across the pond in the Goldene Medina itself, in the great, welcoming home of six million Jews, a gunman had burst into a synagogue and shot dead 11 Jews during their Shabbat morning prayers. Does Pittsburgh dwarf Anglo-Jewry’s concerns? Does it mark the beginning of the end of the glorious modern flourishing of American Jewry? Does the combination of an atmosphere where extremists feel emboldened, millions harbor anti-Semitic sentiments, and guns are widely available mean that more and worse will inevitably follow for the only sizable Jewish population outside Israel? Does Pittsburgh stand as a terrible reminder of the necessity of Israel, oft-terror-battered Israel, as the one place where Jews, though attacked, get to decide about how to go about defending ourselves? Or is it some kind of aberration? I happen to be writing these words from Turkey, where I have come for a Shabbat to speak at a Limmud educational and cultural gathering in a country whose president gives every sign of loathing Israel. I caught the end of Friday night prayers in a synagogue named, just like the one in Pittsburgh, Etz Hayim — Tree of Life — in a city, Istanbul, where 23 people were killed in the truck bombings of two other synagogues 15 years ago, and where the Jewish community is gradually but relentlessly diminishing. Which prompts still wider questions — about whether we are at a turning point for all of Diaspora Jewry, dwindling most everywhere you look, with Europe less hospitable and America, in the wake of the worst anti-Semitic attack in its history, now dangerous. I contacted Goldstein again, from Jerusalem — to put some of these post-Pittsburgh questions to him. He doesn’t claim to have the answers. 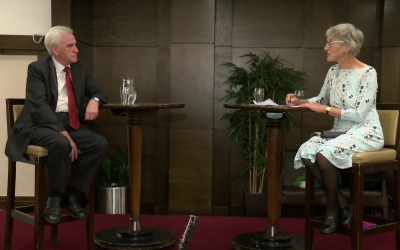 But as we spoke, we both recognized that we were discussing Diaspora Jewry in terms we wouldn’t have done a few short years ago. Those terms amount to: Was the relative tolerance extended to Diaspora Jewry after the Holocaust a blip? And is it over? The Times of Israel: So, Jonathan, how bad are things for the Jews of the UK with Jeremy Corbyn? 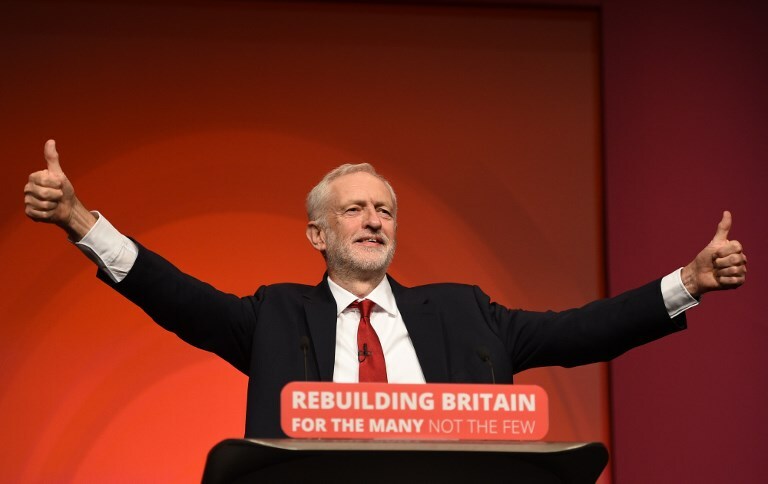 Jonathan Goldstein: Corbyn and the environment that Labour has allowed to foster and spread constitutes the biggest challenge to the Jewish community in generations. When did you make aliya? I went to university in ’84, in Manchester. I joined the Jewish society and I joined NOLS (Labour Students). I’d have been better to join a fitness society. Sabra and Shatila was obviously an overpowering theme, coming into the Labour Party and the left. The Socialist Workers and all those nudniks. 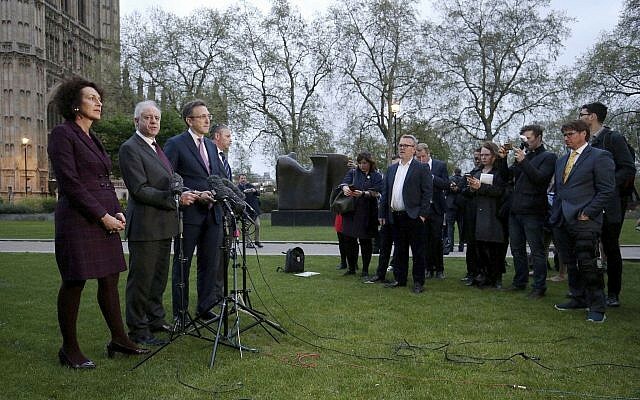 These are the people now running the Labour Party. Most of us [in the Jewish community] as Zionists, who believe in a two state solution — over 90% of Anglo-Jewry probably believes in a two-state solution — we’re prepared to debate and discuss what that means. We’re prepared to debate modern Israeli history, post-1967. What we’re not prepared to debate is 1947. We’re not prepared to debate with the current leadership of the Labour Party whether or not Israel has a right to exist. That is a red line which I’m not prepared to cross. 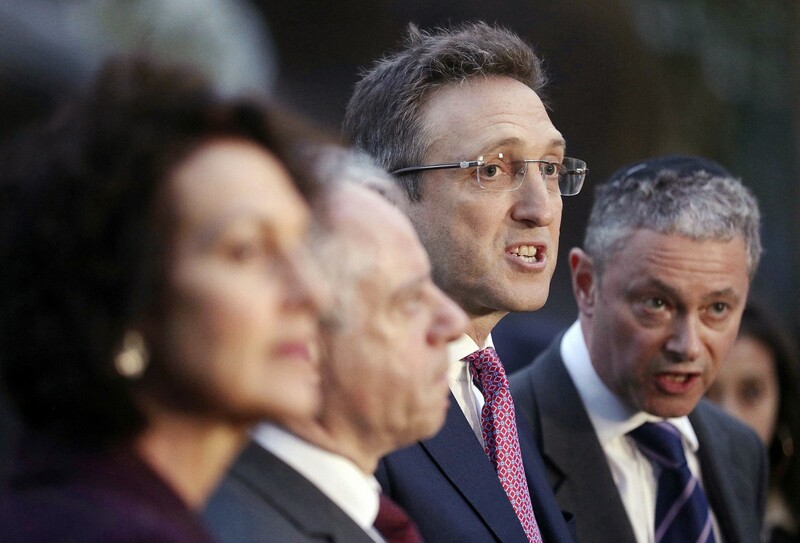 In our meeting [of Jewish leaders in April] with the leadership of the Labour Party, one of the advisers to Jeremy Corbyn said [of the founding of Israel], Well, people can’t get over the ethnic cleansing. You understand where these people’s mindset comes from. They don’t hide it. 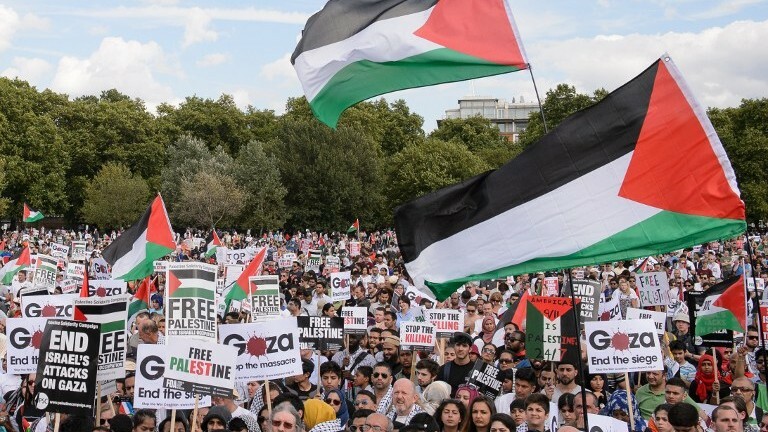 Well, Corbyn wanted to introduce a caveat to the International Holocaust Remembrance Alliance’s definition of anti-Semitism that asserted it is not anti-Semitic to describe Israel and its founding as a racist endeavor. Correct. When the leader of the Labour Party, with all the summer that he had, still could not accept the IHRA definition without filing his own caveat, which included reference to another solution to the Middle East conflict outside of the two-state solution, there doesn’t appear to be any common ground. One can say in public [as Corbyn does] that one is a militant opponent of anti-Semitism, and all these fancy words, but there’s two or three things that you and I know instinctively. Number one, you can’t claim to be a militant opponent of anti-Semitism when you cozy up to organizations that want to kill Jews. It’s not a complicated theory. It’s not a complicated concept. It’s very simple. There’s no compromise in that area. You can’t claim to be a militant opponent of anti-Semitism when you carry around, or refuse to acknowledge the stereotypes which you carry around yourself, and which you will not disavow yourself of. 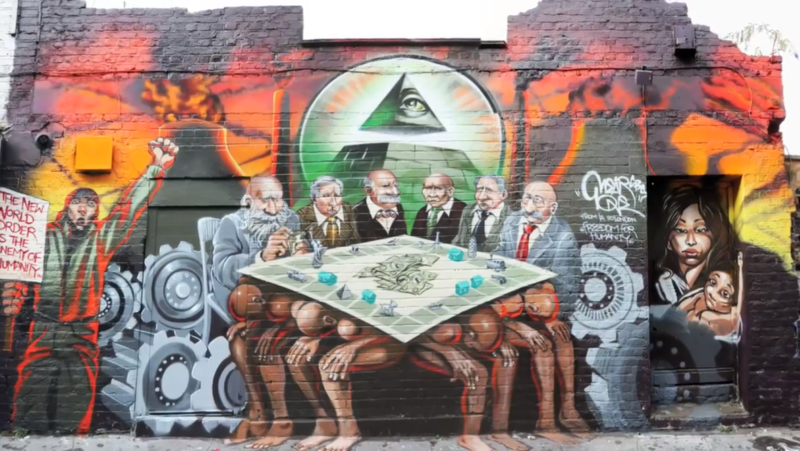 The [case of Corbyn’s defense of an anti-Semitic] mural is one prime example. The [incident concerning his assertion that British Zionists cannot understand] irony is another. Last Wednesday, a meeting was held in Barnet [in North London]. Now if you really wanted any hand of friendship to the Jewish community, [Corbyn’s key Labour leadership colleague] John McDonnell would not be sponsoring, as the candidate for [the heavily Jewish constituency of] Finchley-Golders Green, [the highly controversial] Jenny Manson. Politically, it speaks to a mindset. Do they not want to win the constituency? Or is it more important to them to send a message to the Jewish community of utter disregard to our feelings or to any of our concepts? Jewish people got barred from the meeting simply on the basis of the sounding of their surname. A friend of mine, not a journalist, he got barred from the meeting. This is a culture endemic within the Labour Party that they have promoted and allowed to be established. I had the privilege of spending two and a quarter hours with Mr. Corbyn [in April]. And what happens is you reach a point in a conversation where there is clearly no common ground. And at that point in time he absents himself from the conversation. He shrugs. He does this little shuffle and disappears from the meeting, and Seumas Milne [an anti-Israel top aide to Corbyn] or someone steps in. Not physically disappears; takes himself out of the conversation? It almost seems that Labour’s leadership would rather lose the next general election than stop hating Israel, whereas many of Labour’s MPs are so opposed to Corbyn they actually don’t want their party to win. The obsession and the hatred of Israel overcomes any pragmatism to deal with the issue. And when McDonnell goes on television and claims to have this pragmatism and to want to solve the issue, how can you reconcile that with supporting Jenny Manson in Finchley and Golders Green? How can you possibly do that? Those two facts to a Jew are simply irreconcilable. Now, the problem that leaves the Jewish community in is, what is there to talk about? Jeremy Corbyn has made his position very, very clear. The message back from the leader’s office, through some communications, is, You can talk to us. We’d really like to talk to you. But we really need to explain to you that this leader is not for changing his view. He will not be changing his opinion. So for me, the most important thing that the Jewish community can do is continue to focus on the positive — on the vibrancy of our organizations, our communities, our education centers. Our membership is growing. The notion that we’re going to change this man, that we’re going to have an impact — with everything that’s gone on this summer — on his ideology, is misplaced. I’m quite a moderate person, politically. I’ve been a long-time supporter of the Labour Party. I supported candidates like David Lammy for mayor. I was asked by [former Labour prime minister Tony] Blair to consider putting myself into the frame for a constituency back in the early 2000s. So I’m not a right-wing fanatic, by any degree. I have many weaknesses. One of my strengths is that if you put me in a room with most people, I can create some level of personal connection. He’s not interested. Jonathan Arkush [then the head of the other major UK Jewish representative body, the Board of Deputies] and I said to him [at the April meeting], the problem, Mr. Corbyn, is that you have no nuance on Israel. You don’t recognize the democracy, the courts, the equal rights in society, the freedom of worship, the LGBT environment: the biggest gay pride certainly in the region, most probably in the whole of Europe. Certainly bigger than in the UK. You don’t recognize any of this. And that’s when the answer came back: That’s because people can’t get past the ethnic cleansing. The reality is that these people believe in re-litigating 1947. That’s the reality. That’s the bottom line. This is Corbyn? Or this is people around Corbyn? He’s not some kind of bumbling…? No no no. One of the mistakes of many, many people is to underestimate him and his intelligence… I think he has a moral superiority in his psyche, which means he doesn’t want to answer questions because he can’t be bothered. He doesn’t believe that people are often worthy of his answers. That’s why he gets so angry and uptight when people ask him questions that he doesn’t like. But don’t underestimate his intelligence. Don’t underestimate how steeped he is in this stuff. The greatest semantic that he has, of course, is, I’ve been to Israel. I’ve been to the Knesset. Do you know when he’s been to the Knesset? He went to campaign for the release of [Dimona nuclear reactor secret-spiller] Mordechai Vanunu. We don’t know who he met with. There’s a picture of him outside the Knesset campaigning for Vanunu. Let me ask you a question. Does Abu Mazen [Palestinian Authority President Mahmoud Abbas] today hold out for the right of return in reality? 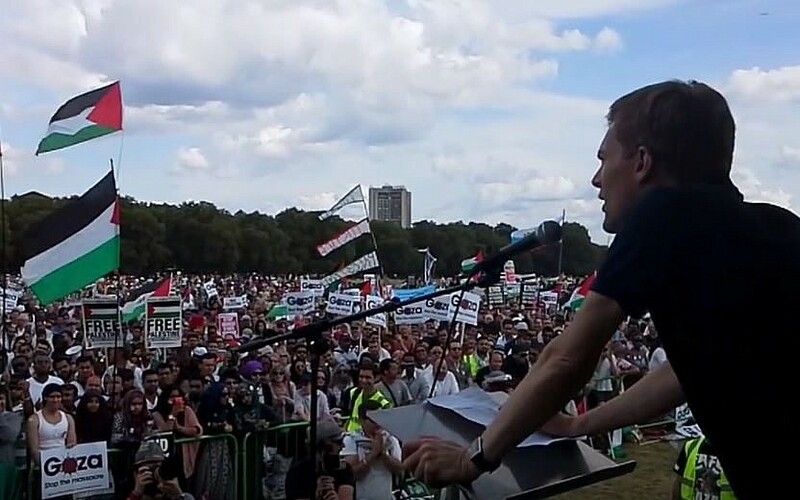 Corbyn and Milne hold out that the right of return is an inalienable right for the Palestinian people. Now, anybody who in 2018 holds that position [seeking a ‘right’ for five million Palestinians to ‘return’ to Israel] is more anti-Israel than the Palestinian leadership. That is a fact. There’s been an alliance for decades now between the extreme left and radical Islamism — not the mainstream Muslim population. 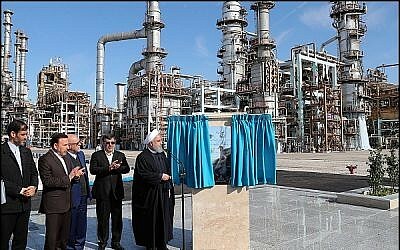 And what that has meant is that they have ignored, forgiven, disregarded any of the lack of human rights within the Muslim world, in various countries — Iran being the greatest example, and Jeremy Corbyn’s regular appearances on Press TV being the obvious example of that — whilst ignoring the freedom and the democracy and the freedom of worship that one has in Israel. It’s quite simple. The question, which is a very difficult question to answer, is how can he not have had the pragmatism to have hidden these views over the course of the last six to seven months, to enable this issue to go away? I’m afraid that the only answer that any sensible person can ever give themselves is quite an uncomfortable one. Because if the manifestation of that is the distinction between good Jew and bad Jew, and a bad Jew in his mind is one who associates with the State of Israel, that’s a very uncomfortable conclusion. At the meeting, it was said to him, if only you’d spent 10 percent of the amount of the time with the mainstream Jewish community that you’ve spent with the outliers in our community, we wouldn’t be sitting here. We wouldn’t be starting from this place. He does that little shrug. The psychology is plainly that here you’ve got a guy who was way off in the margins, but who has been swept to near prime ministership and the leadership of his party. So he’s certain that he was always right, and that now everybody is finally realizing it. That’s what I’m talking about, this moral superiority. It’s an absolute belief that he’s been right for 40 years, and now the world is coming round to his way of thinking. He has triumphed. And thus there’s no way on earth he’s going to change. He says he has a very strong argument to suggest that if the Tories do implode over Brexit, then he can ride on his chariot to Number 10 Downing Street, without having compromised in any area, at any level — including filing his own amendment to the NEC [on the anti-Semitism definition] which, even though he was overridden, means he sits there with moral superiority and he never has to change. It’s a very deeply worrying analysis for the Jewish community. If you were to look at this from an Israeli perspective, let’s not forget that Britain is a permanent member of the Security Council. 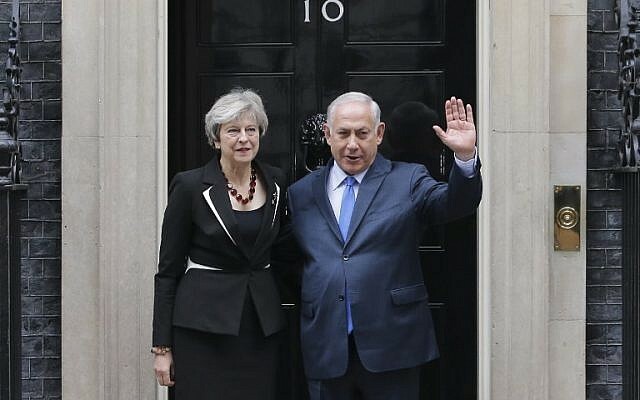 [Think of] the implications for Israel-British relationships should embargoes and BDS be an official policy. We all know that, in foreign policy terms, every administration in history across the world has a lot of executive power, without need to recourse to parliament. That is deeply concerning for any of us who take pride in the relationship between Britain and Israel. At a time when it’s been remarkably good, when you’ve had a succession of nuanced prime ministers, and just had a royal visit. If Corbyn does become prime minister, how will this play out for the Jewish community? It seems that Lord Sacks is sounding the alarm, while the current chief rabbi Ephraim Mirvis is trying to create a greater sense of calm. We Jews have got a long history in the Diaspora. We would be hard pressed to find many communities that have thrived where they have not had a sympathetic government in power. I certainly can’t think of one. Do I think that the daily threat to the community will change materially? I don’t. But do I think that our institutions and our organizations, which are very much dependent on government support at various levels, will be affected? Yes I do. Do I think that the atmosphere for Jews, our ability to freely and publicly associate with the State of Israel, will be affected? Yes I think it will. A very fine woman came up to me recently. She was going to speak at a Muslim organization in three weeks’ time about a completely unrelated subject. Nothing to do with Israel. Her chosen sector: Interfaith work. They said, we’ve noticed on your website you’ve been to Israel. We’ve noticed on your website that you’re associated with the JLC, and the JLC is associated with Israel. Unless you disavow yourself of these associations, I’m afraid you cannot come and speak at our conference. You have to disavow your connections. People get banned from a meeting in Barnet on a Wednesday evening because they’ve got Jewish-sounding names. There are many ways that the Jewish community can be affected, very simply, by a change in administration and a change in tone. I think it’s wrong to talk in dramatic historical terms, and make historical analyses. You understand what I mean by that. We shouldn’t draw analogies like that. I’ve never done that and I won’t do that. I’ve never called Corbyn an anti-Semite in public. I don’t think it’s necessary. I don’t really care what’s in his heart. What I care about is that he has allowed a culture to be created, which has promoted those who are clearly and obviously anti-Semitic. Labeling Jeremy Corbyn an anti-Semite adds nothing to our cause. But we do know that he has allowed an atmosphere to occur within society in which anti-Semitism has thrived, and become endemic within the left of the Labour Party. How that portrays itself when he’s in government, one has to assume, would be greater than it is now. Whilst I can’t argue with an opinion poll that says that 40 percent of Anglo Jewry would seriously consider leaving the country, the reality would be somewhat different. We are British to our very core. And going to live in Israel at a middle age, as I am, when my language is less than average, if I need to earn a living in Israel, it’s not so simple. America is closed. To get a Green Card in America, unless you have some particular talent that they want, is very challenging. Europe has hardly been shown to be a friend to the Jews over the course of the last period. Let’s not focus on leaving this country. Let us focus on getting across to the wider British community, the wider British electorate — I believe the message is getting through — that these values that Jeremy Corbyn is championing are un-British in their nature. Bring together his views on Russia, his views on Syria, his ridiculous notion that Putin should test the Novichok [poison that was used to fatal effect] down in Salisbury, his views on Iran, his views on America — and twin those with his views on Israel and his views on Jews. Then of course you come to the royal family, who he doesn’t seem to have much respect for — which is still a very important part of British society, an establishment that most of us are very proud of, that’s kept the country together in a very different way to many other different countries for hundreds of years. He represents a strain of values that are un-British. So how do you go about disseminating that message? Obviously we can’t do it on our own. We have allies in other minority communities. We have allies in the political parties, all of whom we believe will get this message across. The defining factor — which gives the space politically for that message really to be hammered home — is of course the Brexit discussions. We’re in the middle of the biggest political issue that this country has faced for hundreds of years. We’re going through a divorce from our closest relationship partner. The thing that people forget in divorce negotiations is that I’ve never met a divorced couple that are happy at the end of the negotiations. One is always unhappy. In fact both of them are unhappy — over the children, or over money, or whatever. The same with Britain: We’re never going to get everything we want. But we have a fantasy set of politicians who seem to want to think they’re going to get everything they want even though it’s a divorce negotiation. The big thing that needs to happen for the Jewish community is for Brexit to be resolved and then for the space to be created for the real focus on what Jeremy Corbyn and his colleagues represent for Britain. Not just for the Jewish community, but what they represent for Britain. They’re against NATO — another example of the values which don’t represent Britain since the Second World War. We need articulate, well-considered representatives of our community to be out there saying this. I think we’ve done a good job as a community in getting our message across. But there’s still a lot to do. Is there any kind of effort to help MPs who face deselection battles [– efforts to prevent Corbyn critics in the party from running for re-election]? The big issue for those MPs is whether they wish to fight those deselection processes. Obviously, that’s an individual decision for each MP. As opposed to what? Giving up? 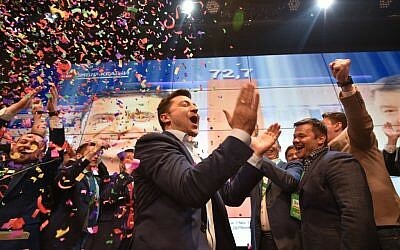 Changing party? Joining a potential new third party? Again, you come back to the [absent] pragmatism of the current leadership of the Labour Party. You say to yourself, is this really in your long term interest? These are some of your best, highest profile MPs. Some of your best assets. Is this really what you want? You want a groundswell of aggression at the base of your party to basically unseat a lot of your talent? Can I ask you about Israel’s role in this, and the community’s relationship with Israel? There are things for which Israel is not to blame. And there are areas in which Israel could perhaps make life a little easier for the Diaspora. 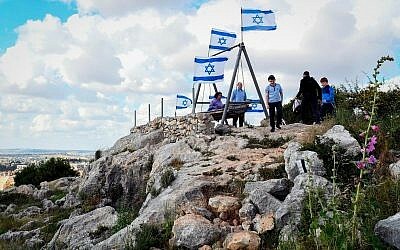 Politically, across the region, Israel has a status quo that, looking at it objectively, somewhat suits Israel. It certainly suits the current leadership of Israel. You mean managing the conflict? I’m not sure I agree that this suits Israel. I made a decision early on in this process not to engage in Israeli domestic politics. I don’t know the answer [to Israel’s challenges, especially on the Palestinian front]. I genuinely don’t know the answer. My politics have been pretty consistent in relation to Israel over 30-40 years, but in the detailed terms I don’t know the answer. I don’t know how to create the breakthrough. I do worry that any vacuum on the West Bank would not be filled with democracy. 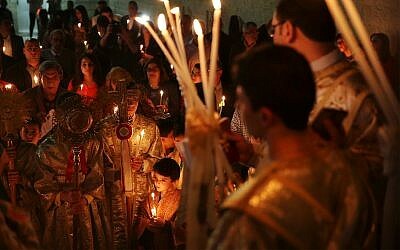 Middle East politics over the last 20 years would show that voids do not necessarily lead to love and happiness and joy. I think it’s a very difficult thing to ask Israel to run their foreign policy with real regard to the Jews of the Diaspora. However, I do think there are times and occasions when, maybe, the messaging and the consequences of Israel’s actions, and the consequences on Diaspora Jewry as a result, are not given high enough regard. [Still,] as one MK said to me last summer, you have to accept and understand that most of the 120 guys or women, they’re not going to win any votes for making the argument on behalf of Diaspora Jewry. 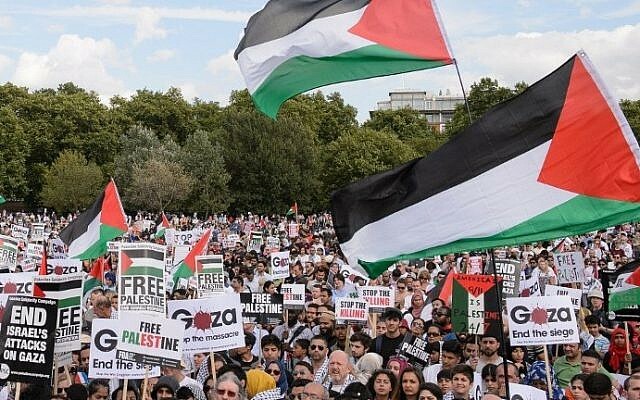 What we know from the British public, from the work that we’ve done, is that the minute Zionism comes into this debate, or Israel comes into this anti-Semitism debate, everybody just sort of turns off and is gone. The issues that play in this country are British values and competence. People cannot understand how a competent political leader could have allowed this to continue for as long as it’s done. And they are the things that we need to highlight. But the wider British public are conscious that this Labour anti-Semitism thing is a thing? Oh yes. There was a poll. They were asked, what’s the biggest issue affecting Labour in the course of the last few months. I think it was 46 percent thought the biggest issue was anti-Semitism in the Labour Party. Did anyone poll about whether it would affect their vote? Yes, and the answer is no. But competence and values do [affect how people vote]. Let’s be honest. When we vote, we vote for our families. Let’s be fair to a guy living in Dudley or Bolton or Blackburn. Give the guy or woman a break. They’re going to vote for me [and my concerns], with my nice home in London? In Israel, people often vote for the prime minister they think will keep their kids safe in the army. My nephew goes into the army next month, the first member of my family to do so. I want to put that on record. Please God he should be healthy and well. We’re very proud of that. We can’t expect people to vote because Corbyn’s anti-Zionism has spread into anti-Semitism. What we can get across is we need to win the political argument about competence and British values. The notion that we’re going to win on anti-Semitism is a fantasy, and it would be unrealistic of us to expect that to happen. Let’s come back to how you think Israel could help. With things which would enable the young Jews in America and the young Jews in Britain to feel more spiritually and emotionally attached to Israel. There is a global issue which Jewry has to deal with, in terms of the affiliation and the attachment of our young and our young adults to the State of Israel. They live in a very different world to that which you and I grew up in. Didn’t live through Entebbe, didn’t live through the aftermath of the Six Day War. 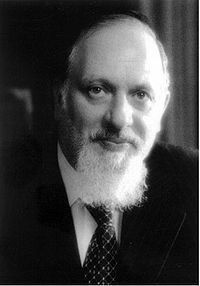 One of my earliest memories is of Chief Rabbi Jakobovits in 1973 conducting the Yom Kippur service in [London’s] Gants Hill. 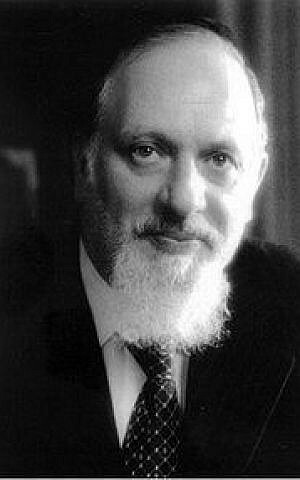 My memory is of him walking to the front of the stage, probably just before mincha [afternoon prayers] on Yom Kippur day, and he said, You need to pray. Israel is at war. The UJIA (United Jewish Israel Appeal) in this country is beginning to really do a very good job in shifting some of its focus away from capital projects into the more socially aware outreach projects that Israel deserves to get huge praise for. My 24-year-old is on the Save a Child’s Heart fundraising group in London. Which I am very proud of. When we were with Corbyn, I said to him, You know, you just don’t recognize anything. Let me tell you a story, I said. Last summer I was in Israel and I was taken to Save a Child’s Heart in Holon, at Wolfson Hospital. We were given a description of Save a Child’s Heart. I walked on the ward and there were two families there. I said to the doctor, Do you mind if I go and talk to the families? And he said, no, with pleasure. I said, where are they from? He said they’re from Jenin [a Palestinian city in the West Bank]. How the hospitals work in Israel. Milne said, Can’t get past the ethnic cleansing? 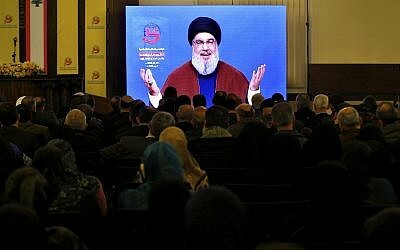 Israel can be blamed for alienating the Diaspora on certain spiritual and religious issues, and on some other matters, but on the security issues, there are other considerations as well that I give weight to. When Netanyahu says only the tough survive around here, and broadcasts that message of strength, it may be difficult for Diaspora Israel-advocates to handle. But he may have considerations that are not merely domestic. 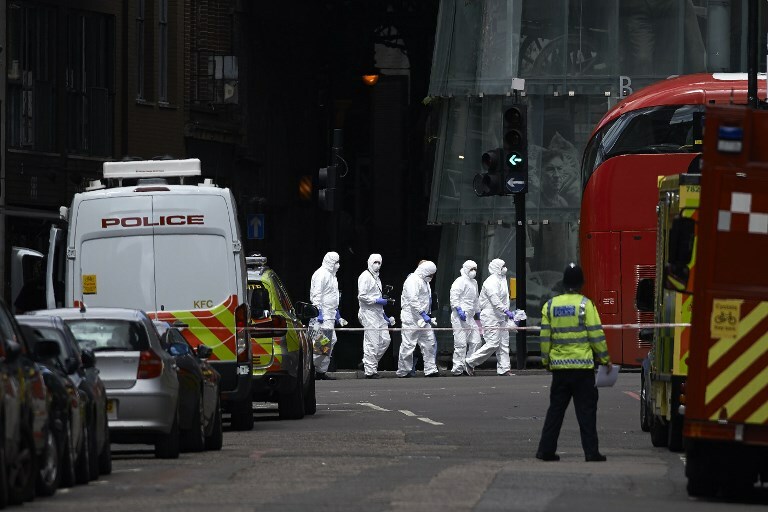 Britain unfortunately suffered three serious terrorist attacks in 2017. Manchester Arena at the Ariana Grande [pop] concert, Westminster Bridge and London Bridge. You also had the situation outside Finsbury Park mosque and there are others. I’ve never done the math but I would suggest that, in 2017, more people died on the British mainland from terrorist events than died certainly within pre-1967 lines in Israel. So when you look at it in that way, you say, who has got it right? 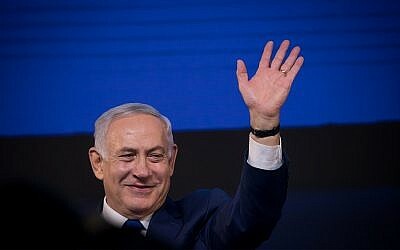 Can you really criticize Netanyahu’s policy, the status quo as I called it, when in fact he’s kept the Israeli population safe from those who wish to harm them? It’s a very difficult debate to get involved in. Does that mean we all agree with the settlements and the way that the West Bank is dealt with, and the way that the border crossings operate? No, it probably doesn’t mean that we all agree with all of that. But in a big picture way, as you said, when people are voting, when their children are going to the army, are they going to be safe or are they going to be under threat, who’s going to keep them safe? That’s the way they vote. That’s the reality of the situation. I don’t think we face a ’67-style existential threat. But ask 100 Israelis about the degree of certainty they have that the country will still be here in 50 years, and poll Brits: Brits, 100%. There’s nobody who doesn’t think Britain is going to be here in one form or another. Where I have confidence is that, this year, we’ve done something very un-British for the Jewish community. You mean sticking your head above the parapet? Extraordinary. So the truth goes as follows. I was at home over that Shabbat and at the end of Shabbat I looked at my phone and I had a text message from Karen Pollock, chief executive of the Holocaust Educational Trust. The message said something simple, like, Jonny we’ve got to do something. So I spoke to her straight after Shabbat. This was the Shabbat after…? 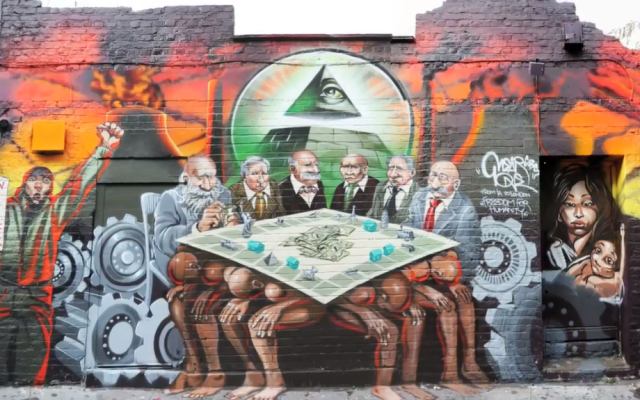 After the mural [controversy erupted]. Luciana [Berger, a Labour MP who is Jewish] had gone public on Friday and said, This is outrageous. I said, we should call a demonstration Monday. Karen said, That’s a good idea. Let’s twin it around the 5:00 meeting of the Parliamentary Labour Party. Let’s deliver a letter. I made about six or eight phone calls — I phoned the chief rabbi. I phoned Jonathan Arkush, I said Jonny, this is what we should do. And he said, let me sleep on it. We arranged a conference call for 9:30 the next morning. The decision was therefore very much in his hands. I knew I couldn’t do it without [the Board of Deputies]. I knew we had to do it together. We got on the call at 9:30 and Jonny Arkush said, Let’s go for it. Now, that decision for both of us to make was a big decision. There are times when I’ve read the press over this summer and I’ve thought to myself, wow, I never expected it to go like this. And there’s no doubt that our initial objective of reducing anti-Semitism has failed. We’ve increased anti-Semitism. That’s the horrific thought, but that is a fact. Our intention was to reduce, we have increased. And yet I’m proud of our decision, because at least the community knows where it stands now. The community knows who are its friends, the community knows who are its enemies. I’m sorry to put it in a stark way like that. But next week will be exactly six months from when we met Jeremy Corbyn. The phone hasn’t rung once in six months. With all the noise, with all the political turmoil around the Labour Party about anti-Semitism, not once has a representative of Jeremy Corbyn reached out to myself or the president of the Board of Deputies, and said please come in for a cup of coffee, we really need to sort this out. And that speaks volumes. Now, yes, they would argue that Jenny Formby has reached out to Simon Johnson [the JLC’s CEO], and talked about consultation, about rules and words and paragraphs and commas. 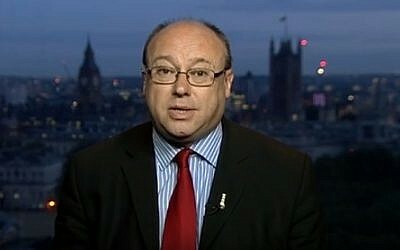 But not once has the leader of the Labour Party reached out to me — and most people know that I’ve been in the forefront of this — or to Jonathan [Arkush] or to Marie [van der Zyl, who took over from Arkush as head of the Board of Deputies in the summer], and said, come in for a coffee, we need to break bread together, we need to find a way through this. 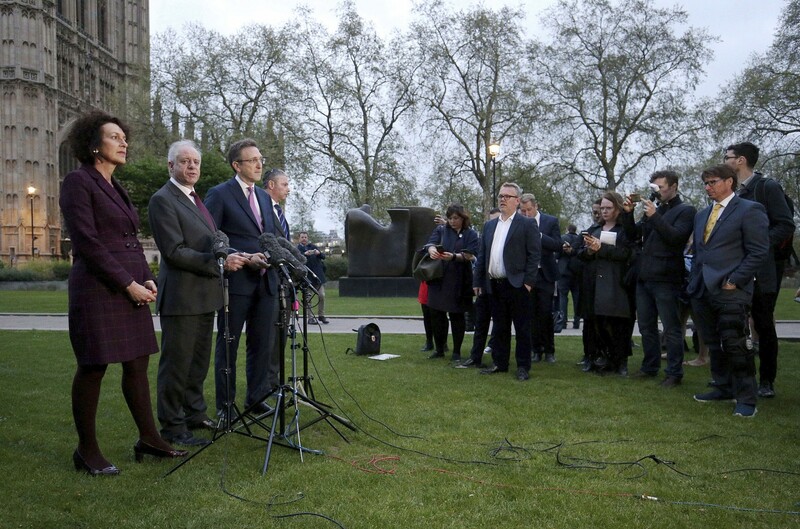 And you know what, at the end of the meeting with Corbyn, which went on for just over two hours and 10 minutes — there was a big media gevalt when we turned up — I said, Mr. Corbyn, the last two hours have been pleasant. It has not been an unpleasant conversation. (You have to be civil in these meetings, don’t you.) But we haven’t agreed anything. Of all of our lists [of demands and requests], you’ve given us nothing. What do you expect me to say to the media when we leave this room? Now, any person who wanted a relationship would say, Well, Jonathan, we’ve met, we’ve got to know each other. We’ve broken down barriers. We’ve created a basis for conversation. We’ve really got a framework here which we can work on. That is what a normal person, let alone a politician, would say. His answer — in this sort of arrogant, patrician, morally superior way that I’ve referred to elsewhere in the last hour — was, Please tell them I’ve been kind and pleasant. Hello again Jonathan. We need to talk a little more in the wake of Pittsburgh. I understand you met with Prime Minister May today. It’s an annual thing. The JLC is invited to bring together a group of community leaders to discuss issues of importance to the community. She’s a very supportive woman towards the Jewish community, so you’re meeting a friend, you’re meeting someone who understands your issues. Did you discuss Labour, anti-Semitism, Corbyn? Only peripherally, because obviously it’s not something that she has a remedy to. We did thank her for her support throughout the whole period. 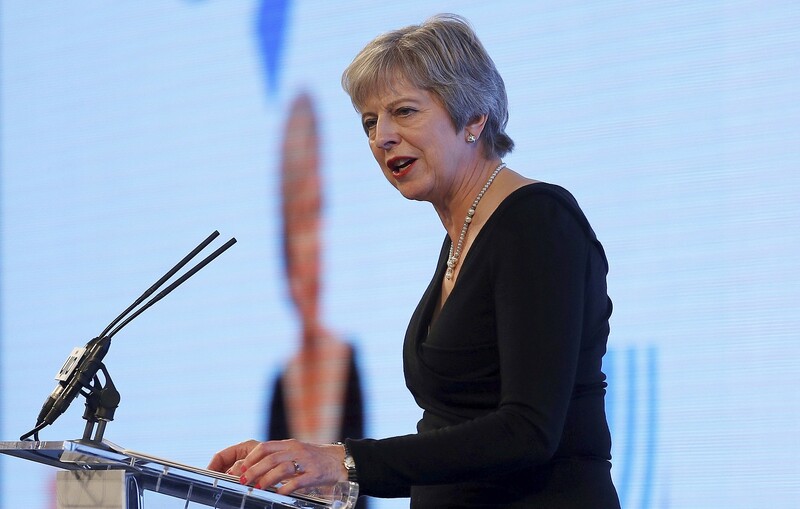 She made a wonderful speech at the UJIA in September, which really explained why she believes passionately that you can be British, Jewish and Zionist all at the same time, and that one does not detract from the other. But in particular, we thanked her for her support [in the House of Commons], because she has been aggressively attacking Corbyn from the dispatch box for what she perceives to be his aggressive anti-Semitism. Since we spoke a few days ago, of course, Pittsburgh intervened. Did that come up in your meeting? Of course, [including in the context of] security for Jewish schools. 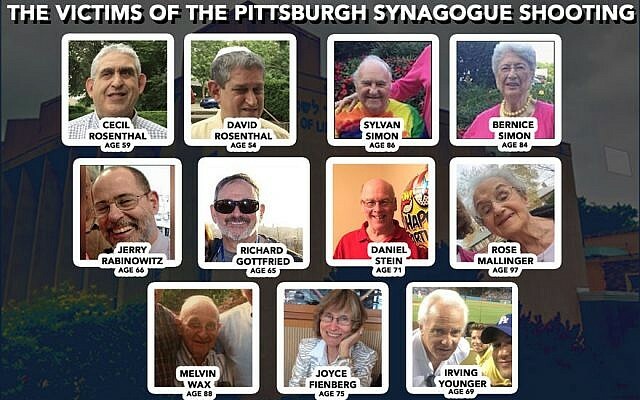 Obviously the horrific situation in Pittsburgh is one which has shocked to the core both the Jewish world and also caring non-Jews around the world. Of course it could happen in England. There’s no doubt about that. We’ve been very fortunate that we have not been subject to a significant terrorist attack as a Jewish community. But as you and I discussed when we were together, the number of terrorist attacks on British soil has been quite extensive over the recent period. Availability of guns is a serious issue in America, as opposed to most other places. Access to weapons like that for a lone operator, for a lone wolf, as it would appear that this gentleman was, is clearly an issue. But it would be far too complacent to say it couldn’t happen to us, far too complacent. Does what happened in Pittsburgh make you more concerned that people internalize the danger posed by political leadership that doesn’t stand up against anti-Semitism? Yes. I don’t really want to get involved in American politics. But words matter. The prime minister’s statements over the months have been clear and unequivocal, and that’s in serious contrast to her opposition at the dispatch box, who has prevaricated and given room to those who wish to propagate anti-Semitic theories. Having said that, we all need to recognize that this attack was from a self-avowed right-wing semi-fascist, or whatever one wishes to call him. It’s turned out to be the American community that’s suffered the most tragic and horrendous attack. That’s a big challenge for world Jewry [to grapple with] now: What does this mean in terms of anti-Semitism and where does this leave Jewish communities? It’s important — it’s not a distinction — it’s important that that is recognized here: The threat comes from the right. The threat comes from the left. Unfortunately, we are often at the brunt of it. We also know that what starts with the Jews invariably doesn’t end with the Jews. I think the biggest question that a number of Jewish leaders are dealing with around the world is, is the world for Diaspora Jewry turning? Is it changing? Or are we just seeing a convergence of a number of circumstances? I know from American Jewry that this has shaken them to the core. They’ve been talking about Europe. The influence of Islam within the European world has been a very strong subject within the American Jewish community. And yet it’s turned out to be the American community that’s suffered the most tragic and horrendous attack. That’s a big challenge for world Jewry [to grapple with] now: What does this mean in terms of anti-Semitism and where does this leave Jewish communities? And you don’t have an answer? Is this some kind of major turning point? It would be wrong to call one event a major turning point. The worry I would have, looking at America from afar, is that the space for people to behave like this appears to be considerable. I have been deeply concerned whenever I’ve been in America recently about the attacks on George Soros and the vilification of Soros. 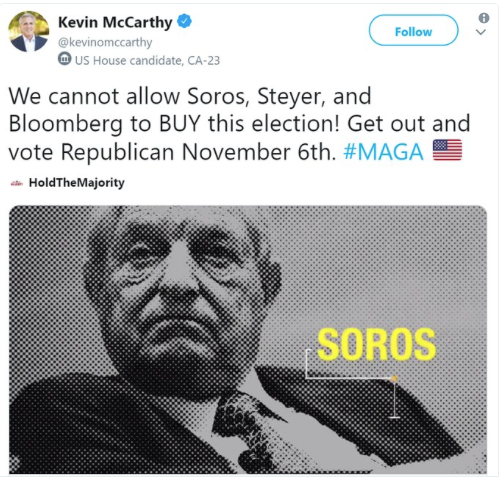 I mean even yesterday President Trump was talking again about Soros funding this caravan into America. You see these images of Soros pulling the levers on people. 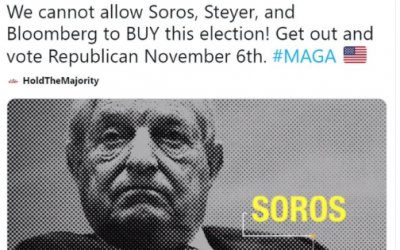 I heard Trump talking about Soros pouring billions of dollars into competing politics to Trump, and I think we all know that cannot be true. It is dangerous. The language in America is concerning, and one would hope that there would be some self-awareness coming into that process. At the end of our conversation when I was in London you said that, astonishingly, six months after that meeting that you had with Corbyn, there’s been no subsequent serious invitation to come and sort stuff out. If there was a serious invitation, in the wake of Pittsburgh, what would you want to say to Jeremy Corbyn? We would be repeating, if we decided to attend — that’s an important “if” — that the first act in fighting racism in any form starts with leadership. It starts with leadership following through, and not just big words about being a militant opponent of anti-Semitism. We asked them six months ago, we said if people share platforms with members who have been suspended, or expelled, they should have the [party] whip withdrawn. That’s the way you show clear leadership. We’ve seen none of anything like that. That’s what I’d be saying to him. But I am concerned that it would fall on deaf ears. 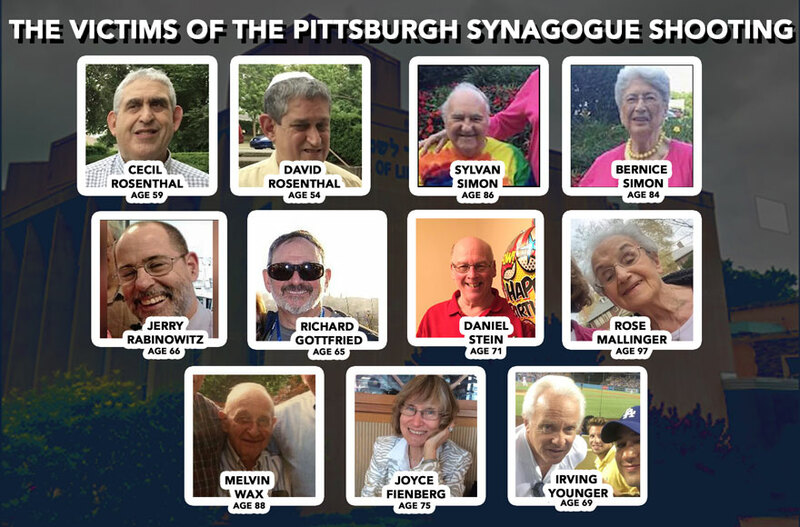 Pittsburgh was a wake-up call maybe to world Jewry. I’m afraid it has not been a wake-up call for other people maybe for whom it should have been. We’ve been so concerned about the well-being of the Jews in the UK, in the Corbyn era, and now, with Pittsburgh, America has outstripped Britain in terms of an awful thing happening to the Jews. Absolutely right. The problem we’ve got in London is that we have this language whereby the right only sees the problem on the left, and the left only sees the problem on the right. And there is a lack of self awareness that the problem is within their own political groupings. That’s an extremely dangerous position to be seen as a Jew. We’ve got that in America. We’ve seen the right looking at the left, and the left looking at the right, and yet no self-awareness. We absolutely have that in the UK. 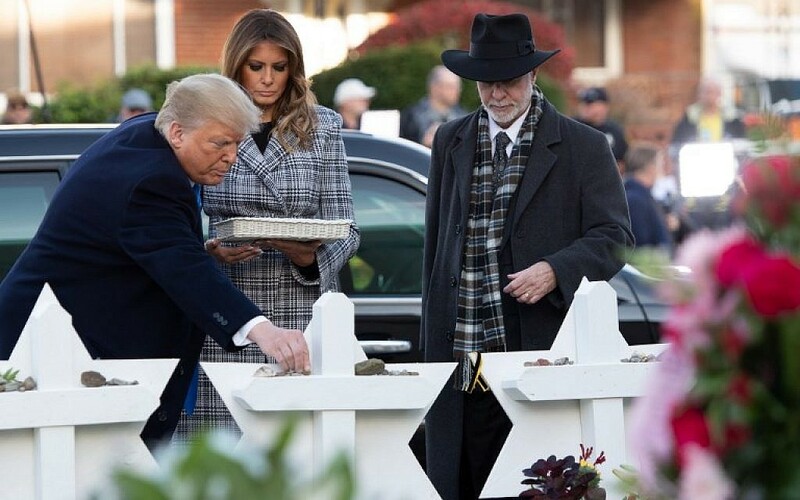 You could see that in some of the tweeting going on, on Sunday and Monday [after Pittsburgh], about how — You see: We told you, only the left can protect you from anti-Semitism. It was a right-wing, mad lunatic that took out these Jews. We told you, you should be more supportive of us. Instead you’ve been hostile to us when you should have been dealing with the extreme right-wing. And that is a very, very concerning narrative for me. It’s lack of awareness, it’s lack of reality in politics. The language of moderation has disappeared from the world. It’s like it’s become an insult. It’s an insult to be seen to be trying to be towards the center on any sort of political process. And that’s what the world desperately needs. The world needs a sense of moderation.